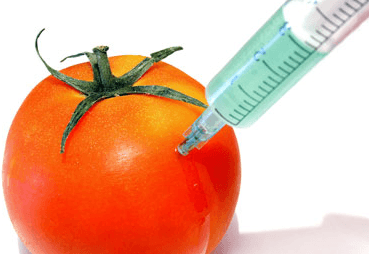 The Leadership of the Peasant Farmers Association of Ghana (PFAG) on Monday said the introduction of GMOs will not only deprive the country of its food sovereignty but also has the tenacity to wipe its seeds. The PFAG together with the Ghana Agricultural Workers Union, the Centre for Organisational Development and Food Sovereignty Ghana, said the call was to salvage the local seed industry. The GMO was a grand strategy by multinational seed companies and their Ghanaian agents to control the seed production and rip off the patent right of a single seed purchased by farmers. Madam Victoria Adongo, the Executive Director, PFAG speaking at a press conference in Accra commended the Minister of Food and Agriculture’s position that Ghana does not need to introduce GMOs into the country as a means to ensure food security. “We, therefore, use this opportunity to acknowledge and thank the Minister for coming to this position and making a public pronouncement that Ghana can do without GMO,” she added. She encouraged the Minister to hold on to this position as Ghanaian farmers, consumers and CSOs were in support of his position. She said the partners believe and rightfully so that agriculture was the key to unlock the economic potentials of the nation and wean itself from the clutches of donor dependency, in line with the President’s vision of ‘Ghana Beyond Aid’. The PFAG Executive Director said aside the well-known challenges in the sector, local seed producers and famers were plagued with numerous constraints. She said there were the critical and real challenges facing the sector and farmers and obviously GMO was not the solution and could not be part of the solutions at this stage of the country’s agricultural development. She, therefore, said accepting GMOs into the country was not only contrary to the developmental dreams of Ghana as envisioned by the President but would further worsen the poverty levels of smallholder farmers, who would have to buy expensive seeds every year. Madam Adongo said it would also kill the country’s infant seed industry and take the progress chalked in the agriculture sector steps backward. She, therefore, called on government to learn from the lessons from the failures of the BT-Cotton in Burkina Faso in 2018, where they had to rely on Togo for conventional Cotton seed to save their Cotton industry from total collapse. “We also warn that there is still intense debate among scientists on the health implications of GMOs and majority of scientists caution nations to be conscious of how they handle GMOs,” she said. Madam Adongo said producing GMOs in the country would have dire consequences on the Economic Partnership Agreement that the country signed with the European Union as GMOs were banned from entry into the EU market. Mr Edward Kareweh, the General Secretary of Ghana Agricultural Workers Union, said the scientific community in Ghana has not endorsed GMOs, rather its only few, who as a result of their own interest were championing that. 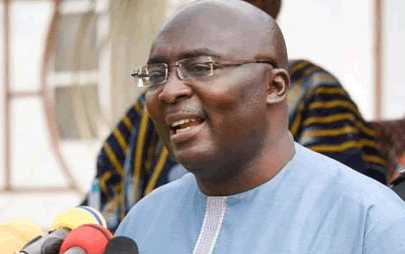 He said the assertion that “GMO is a crucial tool to revolutionalise Ghana’s agriculture sector’ is the clearest manifestation of some of our scientists’ lack of appreciation of the happenings in the Ghanaian agricultural sector”. Mr Kareweh dismissed the notion that the farmers were being sponsored by some entities and individuals in the country against international seed producing bodies. I am grateful for the agricultural industry taken this stand in making sure GMO thus not flood our nation. Which intend will bring a lot of hardship to Ghanaians in the near future. This has always been my fear, that our leaders will compromise. Given in to the dictates of the westing world. I’m very much grateful. God bless you for the good work and protecting God’s creation.